April 27, 2018  Linda Vester, who spent a decade at NBC before going to Fox News, says the legendary news anchor groped her and forcibly tried to kiss her in the 1990s. 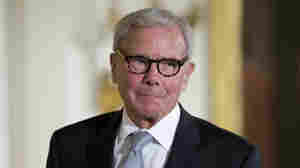 Brokaw denies the allegations. January 2, 2018  Kotb has filled in for Lauer since he was fired in late November for inappropriate sexual behavior. Now it's official: Kotb and Savannah Guthrie are Today's first all-female anchor team. November 29, 2017  "On Monday night, we received a detailed complaint from a colleague about inappropriate sexual behavior in the workplace by Matt Lauer," NBC News Chairman Andrew Lack said in a statement. September 30, 2017  Kelly's first week as host of NBC's 9 a.m. Today show was rocky. The former Fox News anchor has time to steady the ship, but the transformation she's seeking to make is a big one. June 18, 2015  Now that NBC has finalized a deal to move disgraced anchor Brian Williams to MSNBC, NPR TV Critic Eric Deggans outlines some ways the network might salvage his credibility. March 6, 2015  Andrew Lack held top roles at NBC from 1993 to 2001. 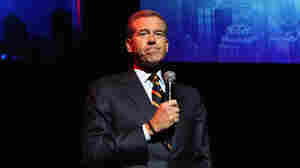 He is returning as chairman of NBC News in the wake of Brian Williams' suspension as chief anchor. February 10, 2015  The evening news anchor had stepped down voluntarily after he said on air that a helicopter he was on had been hit by fire over Iraq. He later admitted he had "misremembered" the episode. August 16, 2013  The GOP says upcoming film projects by the networks show "clear favoritism" toward potential Democratic presidential contender Hillary Clinton. The networks say the films aren't even finished and have nothing to do with their campaign coverage. 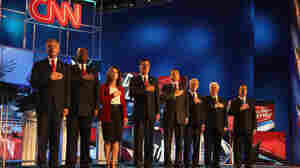 But Republicans say they won't debate on CNN or NBC. January 11, 2013  When NBC News' David Gregory displayed what he said was a high-capacity ammunition magazine on Meet the Press last month, it prompted Washington, D.C., law enforcement officials to investigate whether he had broken a city law. But on Friday, D.C. prosecutors announced that Gregory would not be arrested or charged with a crime. 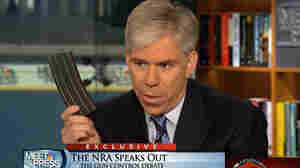 By Showing Ammo Magazine On NBC, Did David Gregory Break The Law? 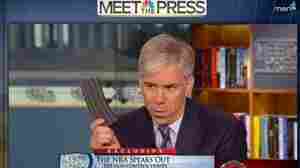 December 26, 2012  Washington, D.C., city police are investigating whether NBC News' David Gregory broke the district's laws when he displayed what he said was a "magazine for ammunition that carries 30 bullets" on Sunday's edition of Meet the Press. November 15, 2011  For many years, Chelsea Clinton refused to be interviewed by the press. Now that she's joined their ranks, as a special correspondent for NBC News, many in the news industry have reacted with a figurative eye-roll at the irony.